A memorial service will be held Saturday, May 14, for Alice F. Fullam, 90, of Wallingford, a retired librarian and the wife of retired U.S. District Judge John P. Fullam. Mrs. Fullam died Tuesday, April 12, of cancer and dementia at home. 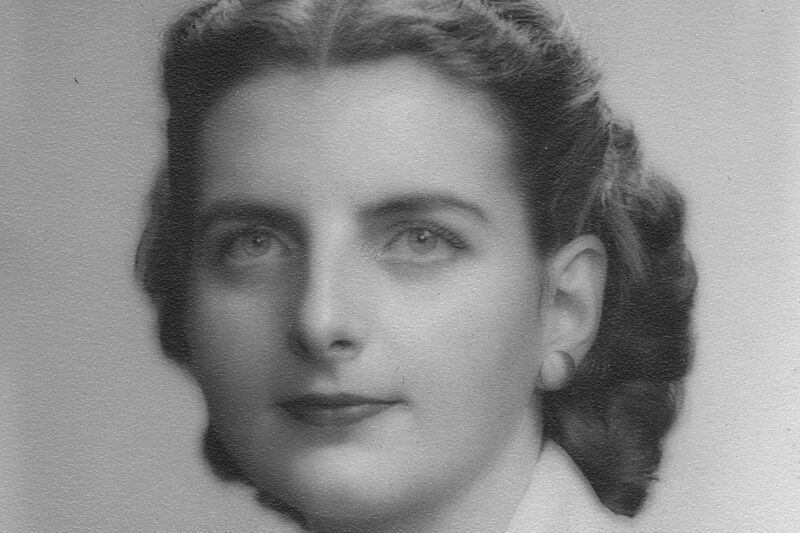 The daughter of Adolph John and Dorothy Cleary Freiheit, she was born in Akron, Ohio, and grew up in Marblehead, Mass., and suburban New York City. She graduated from Garden City High School on Long Island, and majored in psychology at Radcliffe College. "She greatly enjoyed the intellectual challenges and camaraderie of her college years," daughter Sally Fullam said. At a college tea in 1946, she met Fullam, a former Navy lieutenant attending Harvard Law School on the G.I. bill. A romance bloomed and then a partnership of 70 years. After college, Mrs. Fullam went into publishing at Scribner's in New York, where she served as an editorial assistant and layout editor. Meanwhile, the future Judge Fullam joined a law practice in Bucks County. When the two wanted to visit, they met by the lion statues outside the New York Public Library. After their wedding in 1950, they moved to Bristol. Judge Fullam became a state and then a federal judge; Mrs. Fullam made a brief, unsuccessful run for the local school board. The Fullams began a new chapter when they commissioned a modernist home from architect Paul Rudolph. The glass-and-stone building in rural Wrightstown Township had a dramatic roof projecting outward to form six-foot overhanging eaves on all sides. With two young daughters in tow, the couple moved into the house in 1959. Within a few years, they also had two sons. Mrs. Fullam became an organic gardener; raised chickens, rabbits, and goats; and baked nine loaves of bread a week. Overcoming shyness, Mrs. Fullam also threw elegant dinner parties, her daughter Sally Fullam said. She was actively involved in the community, serving on the boards of Mercer Street Friends Center and Pearl S. Buck's Welcome House, and as clerk, or a leading member, of Wrightstown Friends Meeting. In the 1970s, Mrs. Fullam earned a master's degree in library science from Drexel University. She was hired by the Trenton Free Public Library as a reference librarian. Later, she was promoted to head of the library's art and music department. "My mother was a steadfast believer in the mission of public libraries to enrich and improve the lives of everyone. She treated all patrons with dignity, whether homeless and destitute, or prominent and privileged," her daughter said. When she retired, Mrs. Fullam enjoyed bridge, tennis, reading and worldwide travel. Judge Fullam retired from the federal bench on April 15, 2011, after a 45-year career. In 2007, the Fullams moved to Plush Mills Senior Living in Wallingford, where Mrs. Fullam was known for her grace and courage in the face of declining health. "She will be remembered fondly for her warm smile and unfailing kindness," her daughter said. Besides her husband and daughter Sally, she is survived by daughter Nancy; sons Thomas "T.J." and Jeffrey; four grandchildren; and a sister. A memorial service will be held at 11 a.m. Saturday, May 14, at Wrightstown Friends Meeting, 535 Durham Rd., Newtown, Pa. 18940. Burial was private. Donations may be made to Mercer Street Friends Center, 151 Mercer St., Trenton, N.J. 08611, at http://mercerstreetfriends.org, or to the Wrightstown Friends Meeting at the address above.